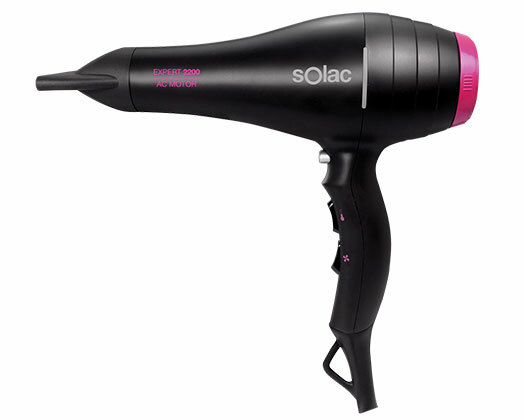 Home Products Solac Hair Dryer AC Motor Black 2 Speed 2200W "Expert 2200 AC"
Solac Hair Dryer AC Motor Black 2 Speed 2200W "Expert 2200 AC"
Solac presents the Expert 2200 AC hair dryer. Expert 2200 AC is a professional dryer with which you can dry and style your hair easily. Equipped with a narrow concentrator and a professional diffuser, this hair dryer is a perfect addition to your beauty regime.